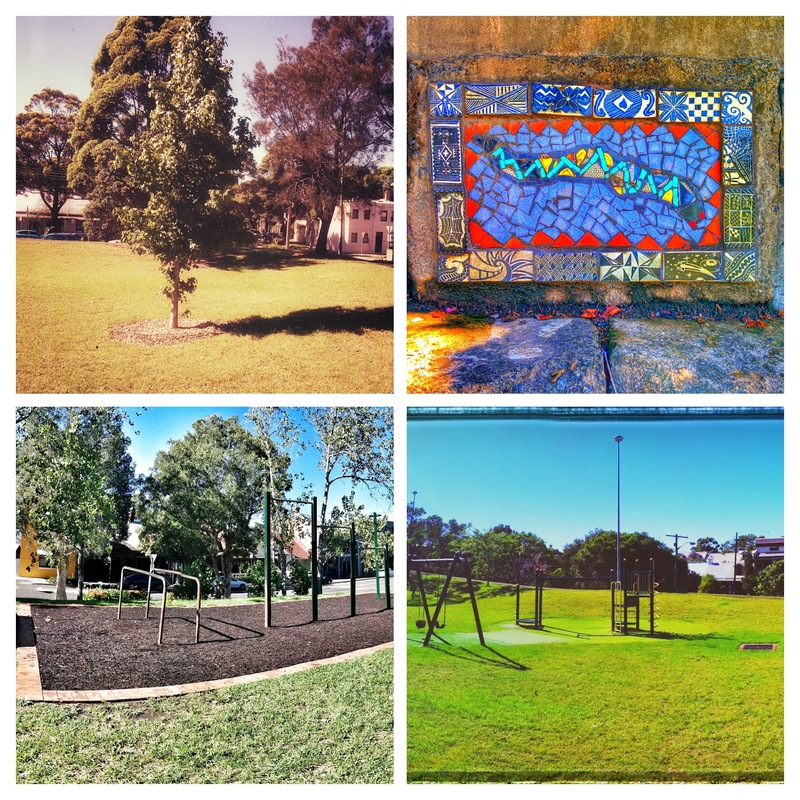 South Sydney Rotary Park is an extensive length of green that joins three inner west suburbs and offers a couple of nice facilities in the form of a children’s play area and a small outdoor gym. There’s a real charm in strolling along the path and taking in the surrounding views, from the terrace lined Henderson Road to the art murals adorning the western walkway, South Sydney Rotary Park is a picturesque detour for any inner suburban wanderer. South Sydney Rotary Park extends the length of Henderson Road from Park Street in Erskineville to Alexander Street In Eveleigh, where it joins up with the Basketball and Tennis Courts at the eastern edge of Vice Chancellor’s Oval. There are no fences or gates, sot he park can be accessed from anywhere along it’s length. Parking is all limited streetside. South Sydney Rotary Park, Henderson Road, Erskineville. Map it.